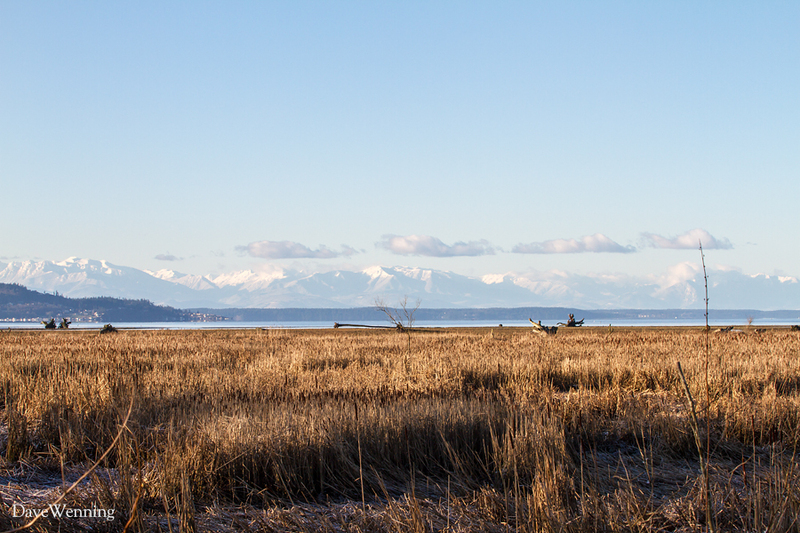 The dike is part of a system that protects the low-lying farmlands of Fir Island, Washington. 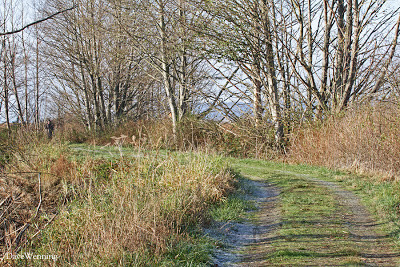 The spur dike at Wiley Slough serves as a trail out into the wetlands of the Skagit River delta. 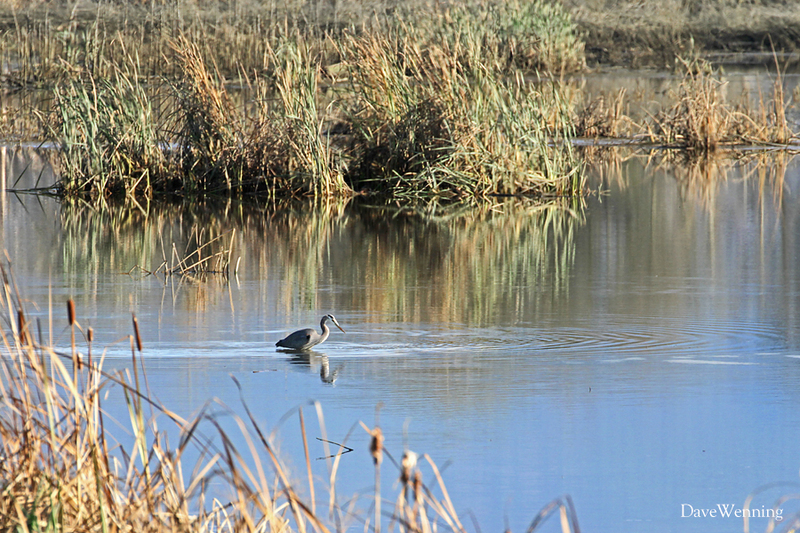 Many activities take place here include duck hunting, bird watching, hiking and dog training. At different times, you may find the waters flowing either upstream or downstream. This will depend on the river levels and the tides of Skagit Bay. 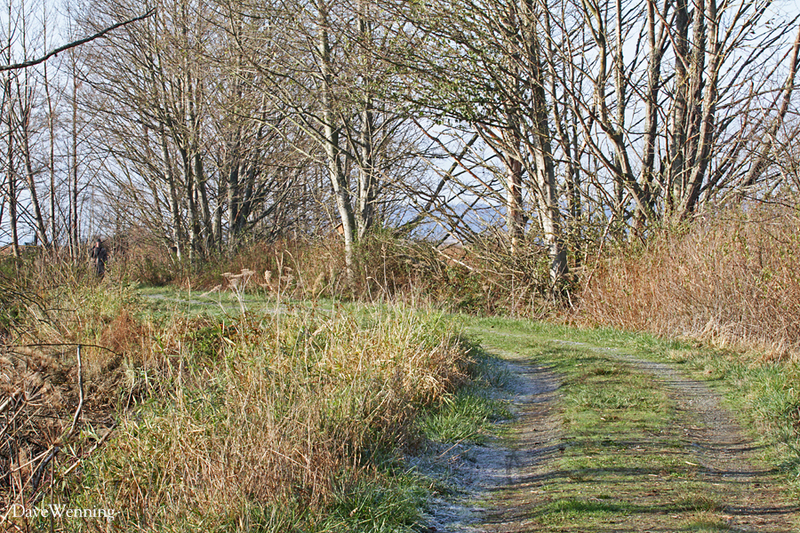 Lush botanical gardens of native plants, shrubs and trees line both sides of the dike. 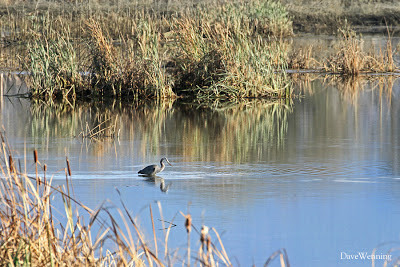 The wetlands extend in all directions. You can click on the photos to enlarge them. 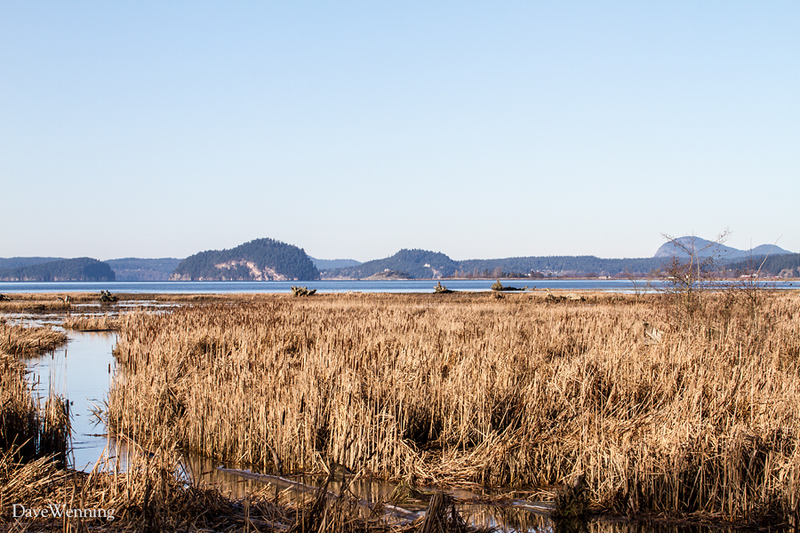 The dike trail ends in the salt marshes bordering Skagit Bay. 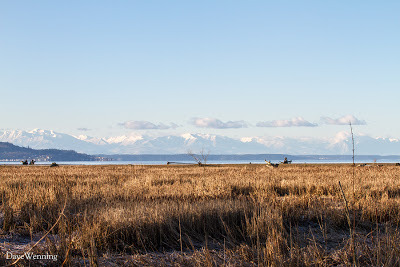 Across the Strait of Juan de Fuca, beyond Camano and Whidbey Islands, the Olympic Mountain Range comes into view (left). The mountains are about 50 miles/80 km away. Occasionally, strong windstorms will blow in off the Strait. You can also see Fidalgo Island from here (right) including its highest point, Mount Erie. Standing watch over the whole area is an active volcano. Indigenous people call it Komo Kulshan. 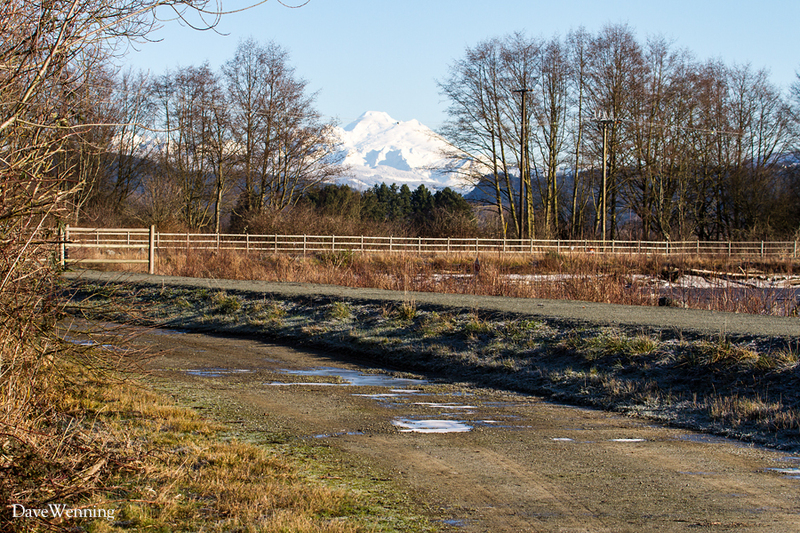 Europeans named it Mount Baker. 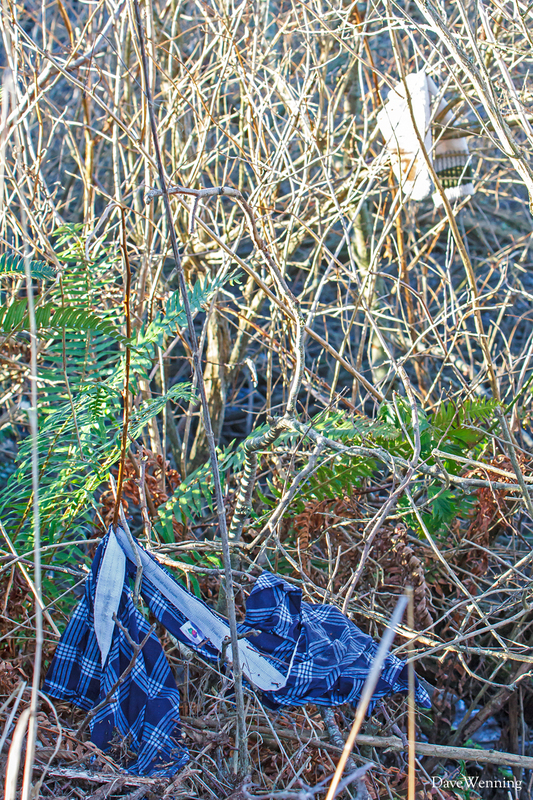 That's the setting for the Case of the Scattered Skivvies. If you think you know the story of those strange artifacts in the first photo, send your brief accounts to me using the Contact Form. I will publish the stories in a future post. Don't worry, I don't compile or use mailing lists for anything. Good luck. I am looking forward to reading your stories.